"…in my 38 years of working for USDA, ARS Oddo Construction has been one of the most detail driven companies that I have ever had the pleasure to work with. I would never hesitate to contact them in the future and provide them an opportunity to work with USDA, ARS again." "Oddo Construction work ethic and prophecy for detail was excellent and the subcontractors used were as well. 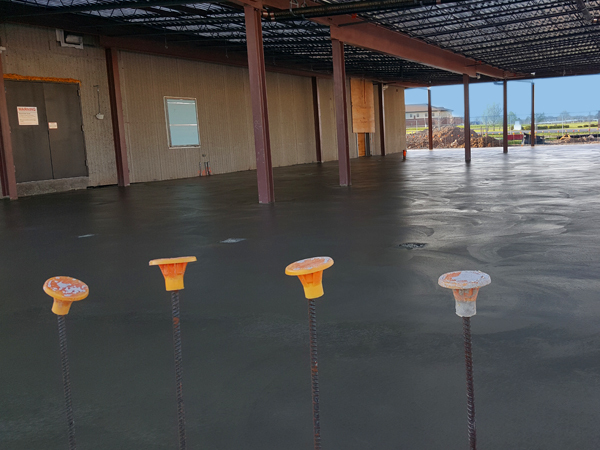 The work site was left in perfect condition and when asked to go above what was actually spelled out in the contract the company was receptive to our needs." "Your Organization possessed the skills required to successfully take the project from start to finish; completing the project on-time, on budget, and to the level of quality that was expected." "I would highly recommend ODDO Construction to any prospective client. The construction industry is plagued by fly by night outfits and substandard work. You will not find any of that with this company." We will perform our work and service with professionalism and integrity, while working tirelessly to gain your satisfaction, confidence and trust. In completing this goal, we will strive to exceed your expectations and keep safety and safe work practices at the forefront of each given task.